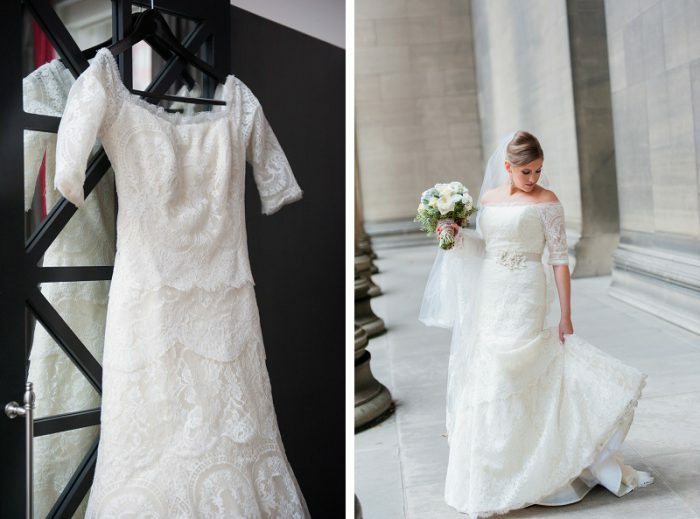 Let’s be honest…everyone’s favorite part of Burgh Brides is seeing all of the ah.maz.ing wedding dresses. 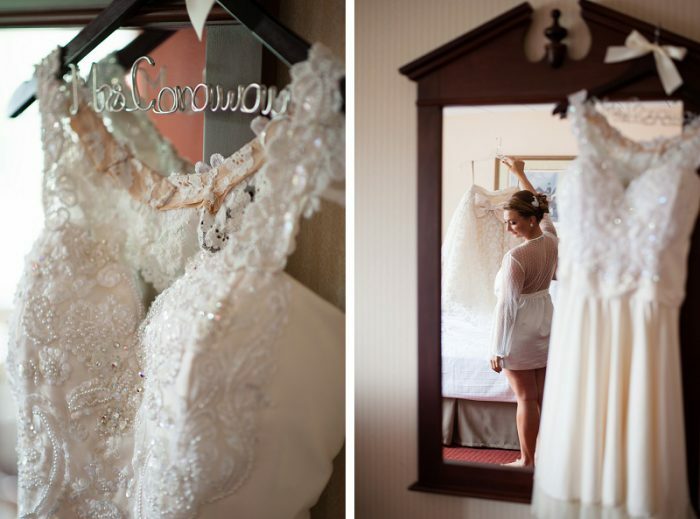 You can tell so much about a bride’s personality from what she chooses to wear on her wedding day. Loose and boho? She’s someone I’d want to hang out with on the weekends. Ballroom and rhinestones? 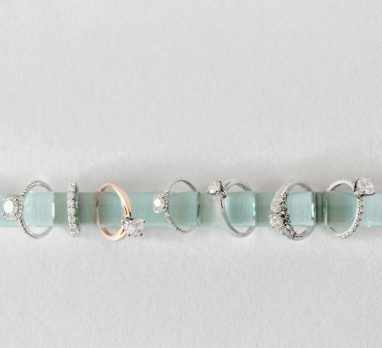 A classic gal through and through. 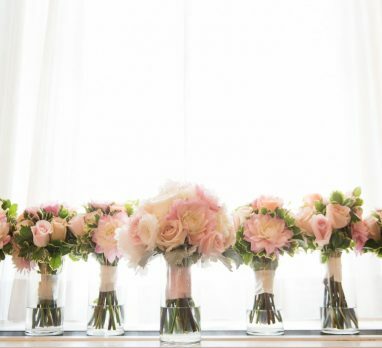 Blush pink? Gasp! 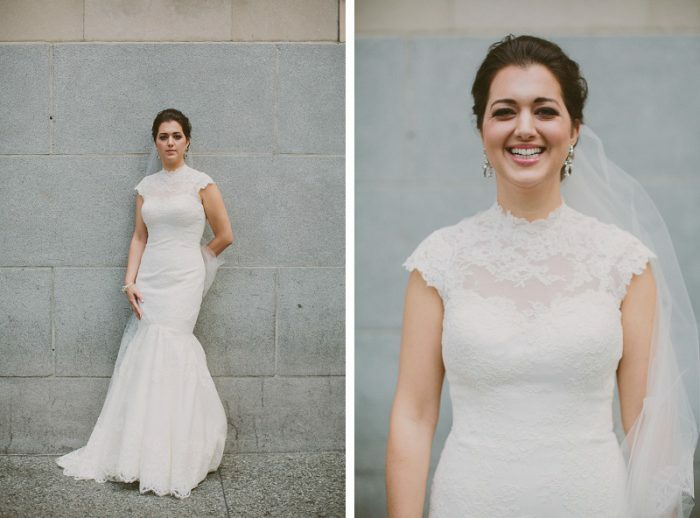 I love a bold bride. Looking back at 2016, there were some stunning gowns featured on the blog but here are my absolute favorites! 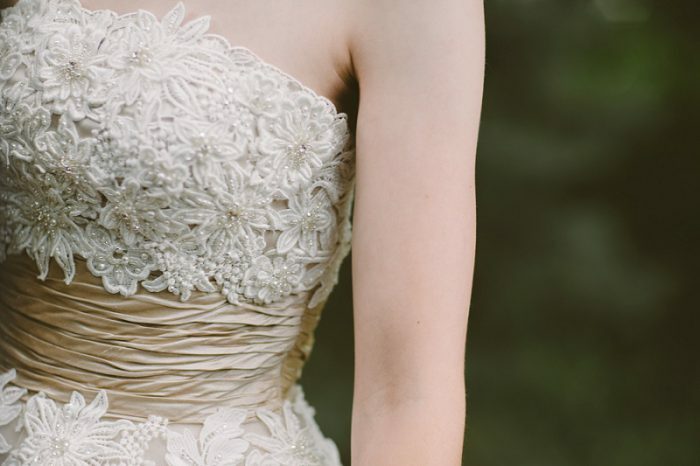 Off the shoulder, tiered lace, sleeves, a beaded belt…need I say more about this Rivini number? Just when I thought it couldn’t get any more gorgeous, Sarah accessorized with diamond and emerald earrings. 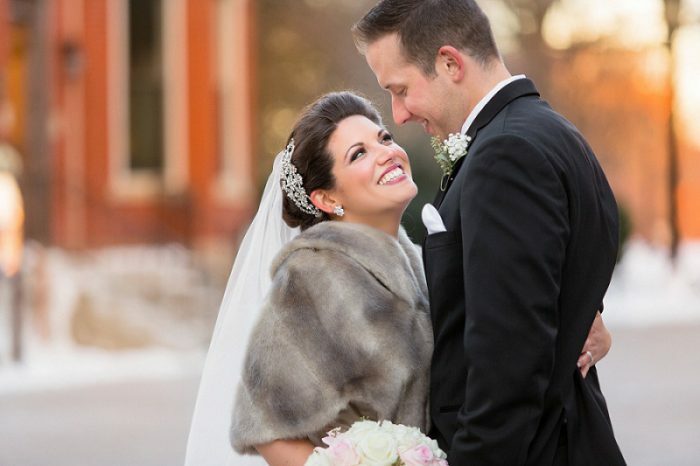 Perfect for her classic winter wedding! 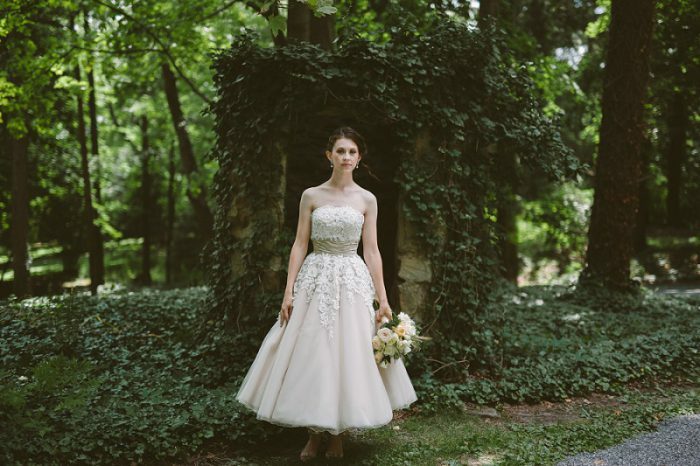 Every bride deserves to look (and feel) like an absolute princess on her wedding day. And if Julie doesn’t totally epitomize that, then I don’t know who will. 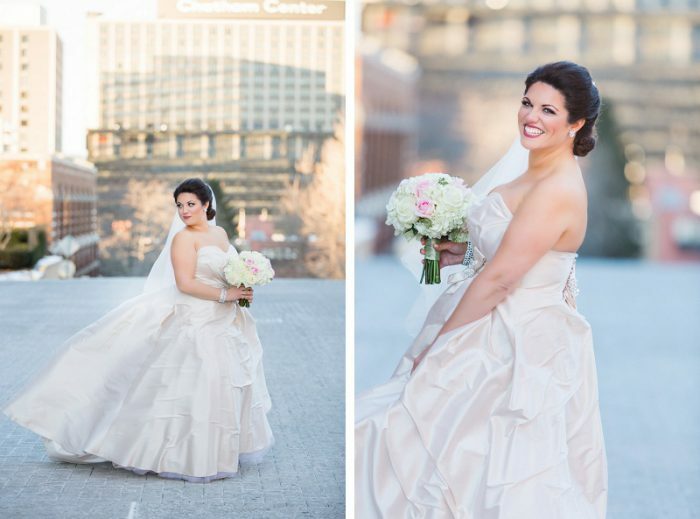 Her custom-made Lea-Ann Belter blush ball gown WITH POCKETS was made for twirling and she so played the part at her glamorous hotel wedding. 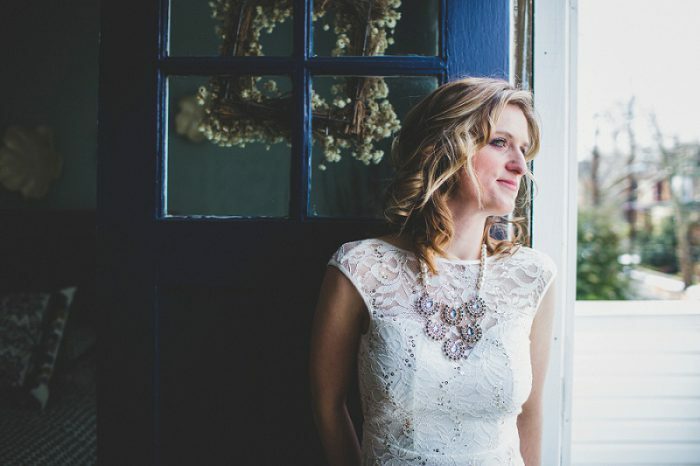 As this bride put it, “It’s ok if your dress comes from a department store and your accessories were on clearance.” Ashley found her lace, hi-low hem dress at JCPenney and dressed it up with navy suede booties and a statement necklace. 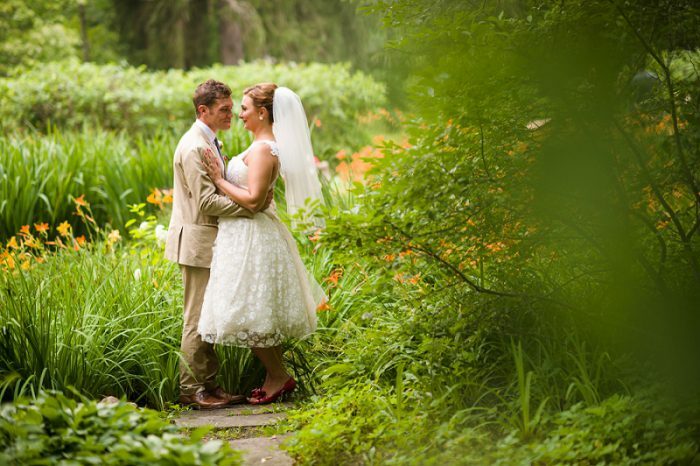 Love was the focus of this intimate elopement but I still think Ashley looked like a million bucks. Plus, clearance shoppers are my home girls. 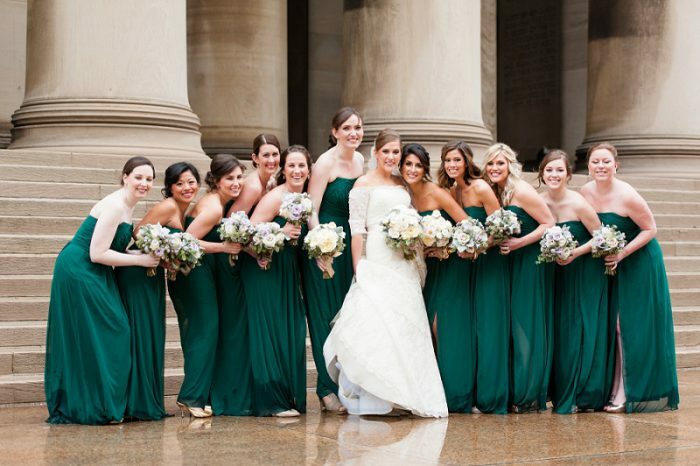 One star of the show at this chic wedding was Nina’s dress. 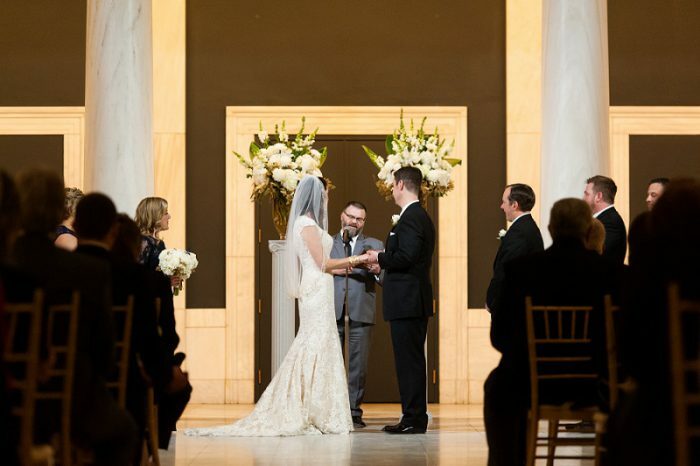 The high neck and cap sleeves of the Allure Couture gown, plus the simple accessories and cathedral veil, made Nina a vision of grace and elegance. Classic beauty right here. 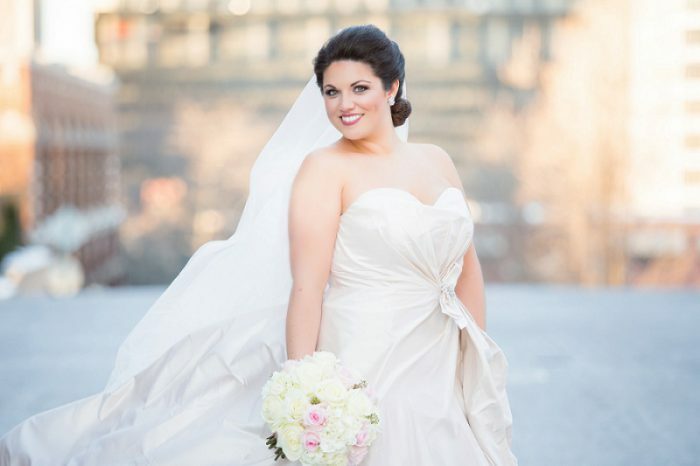 What made Tara’s wedding dress so special? Oh, just the fact that it was the same dress worn by her mother and grandmother. NBD. Actually, it’s a HUGE deal and I’m absolutely in love with it. 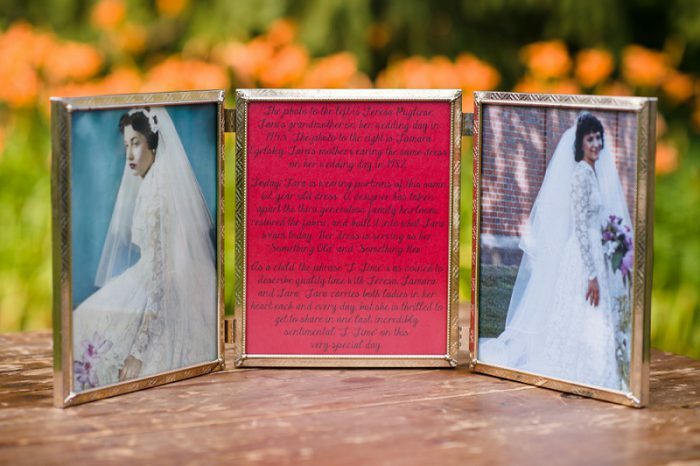 A little modernization (plus a sign explaining the heirloom) made the tea length gown a highlighted feature at her fourth of July wedding. 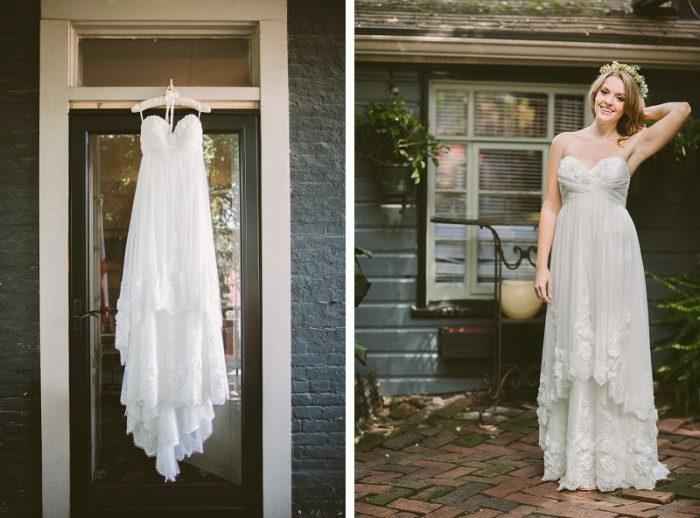 Molly’s bohemian number was perfect for her charming, laid-back wedding day. 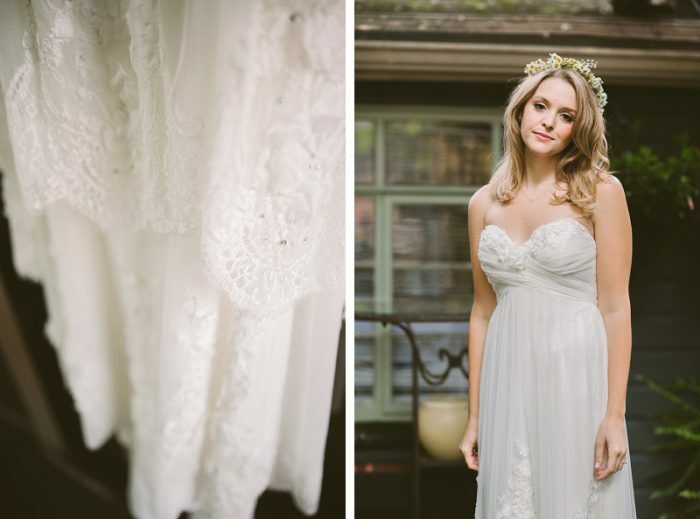 The sweetheart neckline, long layers, and lace trim made it bridal while still being comfy. 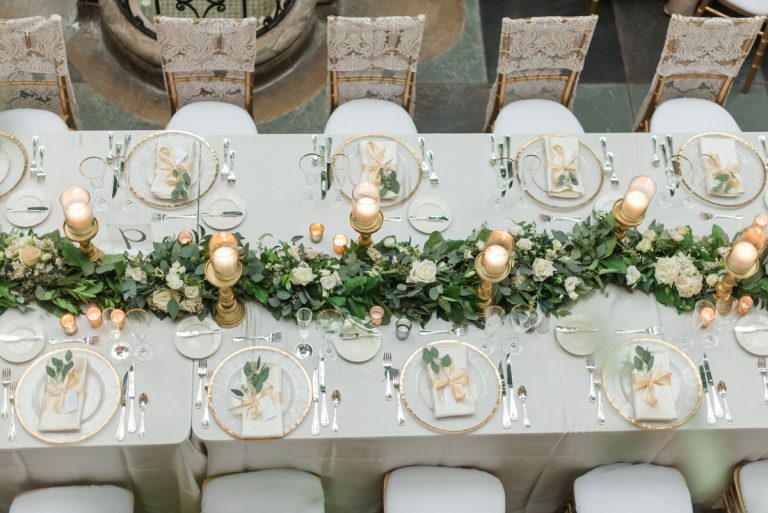 A floral crown of baby’s breath and simple pearl earrings were lovely finishing touches. 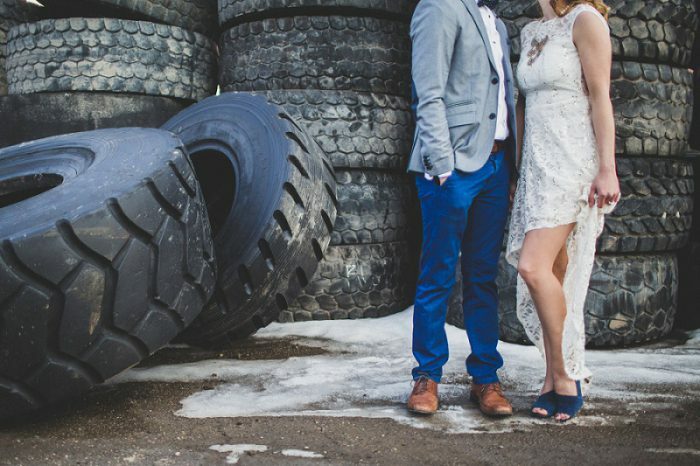 I never thought two tea length gowns would make the list but then Alyssa and her woodsy wedding came along. 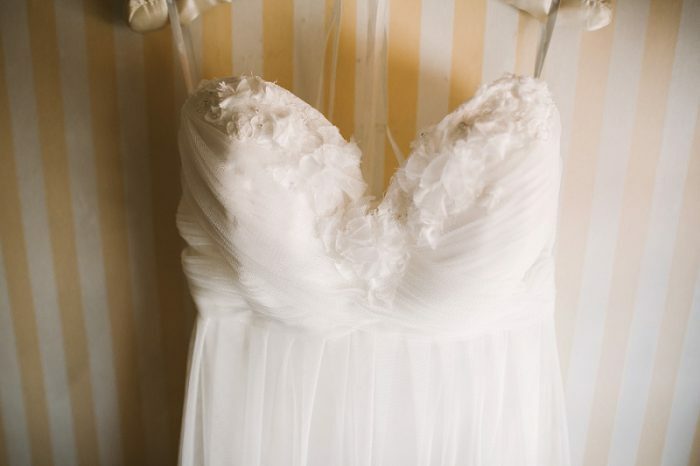 Her Justin Alexander dress featured Venetian lace, a ruched silk waist, and small beaded details. 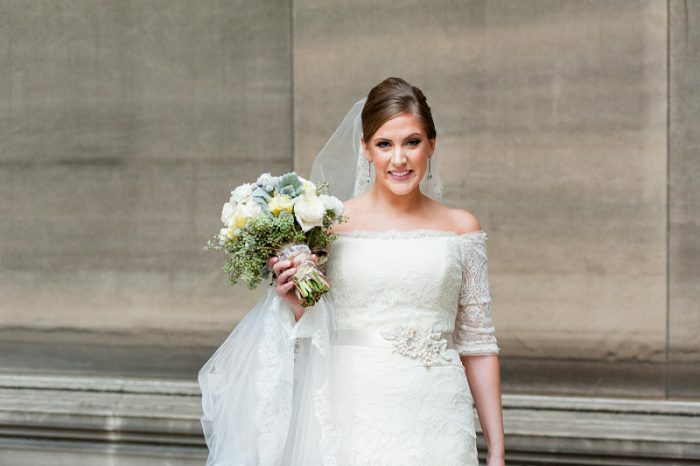 If I could give an award for Most Demure Bride, Alyssa would definitely win. 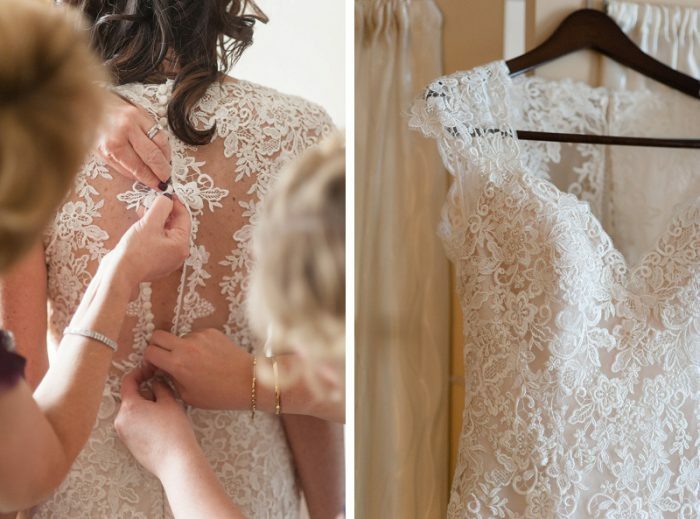 Lace was the clear winner for brides this year, and Kara was on point with the trend. Her dress was dainty while still being sophisticated and that back was absolutely stunning. My favorite part? 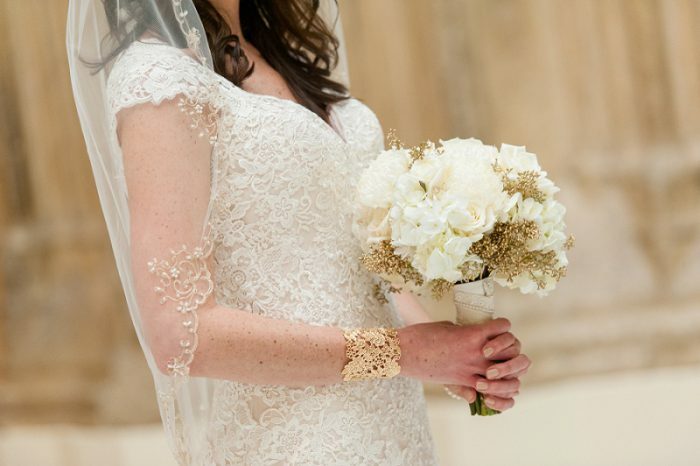 The cuff bracelet accenting her right wrist, perfect for her navy and gold wedding. 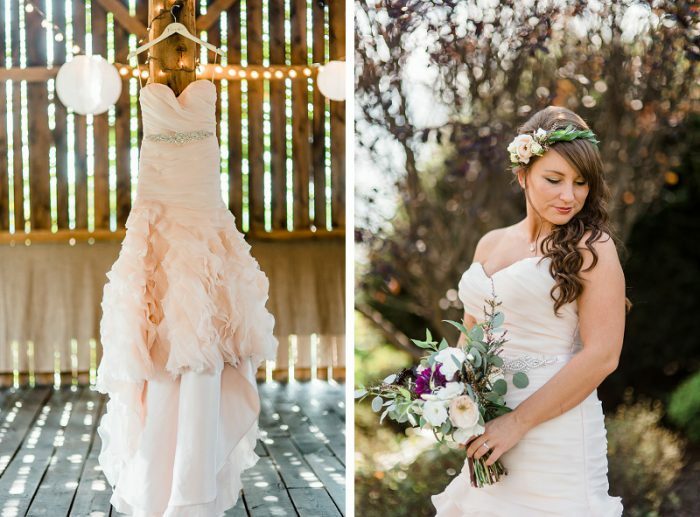 You might not expect a pink wedding dress at a pumpkin inspired fall wedding, but that might make this one even better. 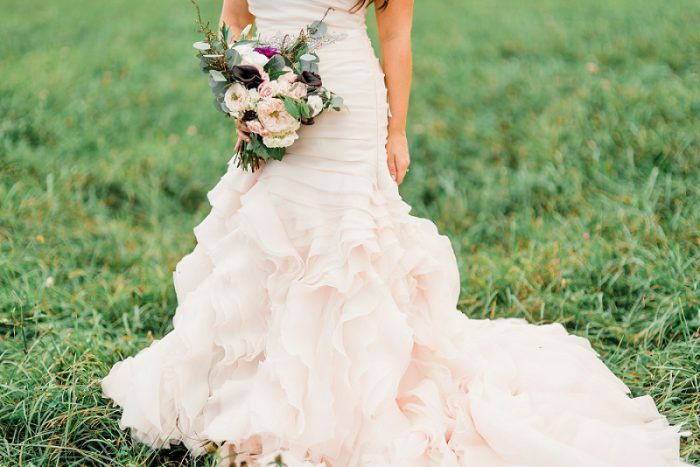 Annie chose a blush and merlot color scheme and incorporated subtle seasonal touches into her big day, but her pleated Sottero and Midgley number with an abundance of ruffles was hands-down my favorite detail. 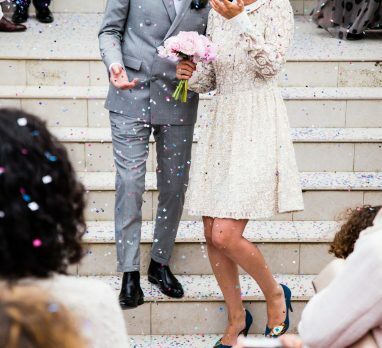 What wedding dress from the past year was your favorite? Why did you love it so much? Comment below! Don’t miss my other Best of 2016 picks! All of these gowns are so gorgeous. 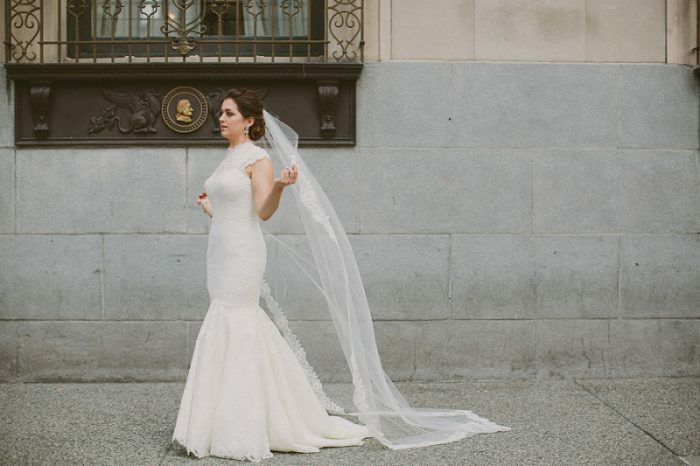 Love the “Sarah” gown – has a strapless appeal, but with sleeves (I’m a sucker for wedding gowns with sleeves). I’m so glad that sleeves came back in style!!! Alyssa and the tea length win!! !